Cruise to the breezy islands of the Bahamas or venture into the wild in Alaska. Travel from scenic views to city views on a Pacific Coastal cruise. Or simply sit back and sail through the world’s greatest shortcut on a Panama Canal cruise. Whatever you choose to do, we invite you to experience the wonders of getting there aboard the Norwegian Pearl. Her chic bowling alley, 16 delicious dining options, 15 bars and lounges, dazzling casino, tranquil spa, and spacious Garden Villas are just a few things that make this Jewel Class cruise ship a destination of her own. 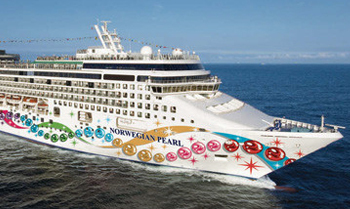 Norwegian Free at Sea Offer! Book an oceanview cabin or higher on select Norwegian Pearl cruises and pick three Free at Sea inclusions* or book an inside cabin and pick one Free at Sea inclusion*. 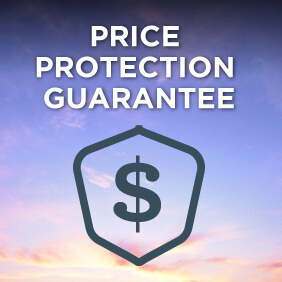 Plus pay just $10pp deposits on sailings departing after 15 April 2019*. 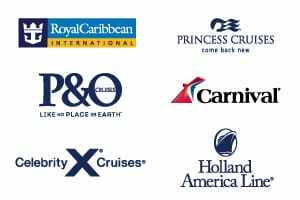 View all Norwegian Pearl cruises, view a selection of Norwegian cruise deals, or view more options for Norwegian Cruise Line. Please note: All Norwegian Cruise Line departures within the next 30 days are not currently bookable online. To make a booking, view all scheduled last minute Norwegian Pearl sailings and then call us on 13 13 03 or request a callback during business hours and a member of our team will be to assist with pricing, availability and to make a booking. We apologise for any inconvenience. Dine on American classics in a relaxed Irish pub atmosphere. With popular dishes like Chicken Pot Pie and Fish n’ Chips to daily dinner specials ranging from Prime Rib to Chicken & Waffles, O’Sheehan’s has all your favorite comfort food and beer on tap 24 hours a day. So catch a game on the two-story TV screen or play some billiards or darts, this casual restaurant is a guest favorite and it’s complimentary. Get ready for a musical extravaganza featuring the best celebrity tribute artists! The iconic tribute show, Legends in Concert, is now honored to call Norwegian Pearl home on the high seas. A staple on Las Vegas’ center strip for the past 32 years, Legends in Concert is known as the pioneer of live tribute shows and has assembled the greatest collection of live tribute artists and celebrity look-alikes in the industry. Just like its name, The Children’s Splash Pool is just right for pint-size splashing, playing and paddling. The pool also has additional fun features. Norwegian Pearl’s meeting room area features three individual rooms, the Vienna room, the Prague room, and the Barcelona room. Prague and Barcelona may be used together. This is a cool place where teens can have fun, too. Designed to look and feel like the New York Subway, there’s even graffiti on the walls. Get into the zone of fun because Splash Academy is just for kids! With lots of open space for active games, an arts and crafts area and creative theme days kids can do what they do best be a kid! Norwegian Pearl’s main outdoor pool is surrounded by 144 sun beds, 314 deck chairs and Topsider’s Bar and Grill. Here’s your chance to capture a few aliens, win a car race, play pinball and fly a jet fighter. Let your imagination run wild at Video Arcade. A lounge inspired by all things spherical and out of space. Bubbles, the use of lighting, color and ultraviolet artworks will be throughout this room. Features the industry’s 1st bowling alley and also is equipped with plasma TVs. Imagine Paris in the 20’s. Magnum’s is an inspiration of French Art Deco and the decor of the grand old cruise liner Normandie. How do you like your martini? Shaken, not stirred? Of course you do. James Bond silhouettes reflect back at you from a screen behind the bar in this Art Deco inspired ode to the 1960’s and 70’s. It’s showtime! And we’ve got a really big show for you at the Stardust. Enjoy Broadway and Vegas-style shows with cocktails before or after dinner with a European Art Noveau backdrop and a peacock adorning the curtain.